Catchmaster 100i Insect Monitors use a food grade molasses that is already applied to the boards to attract insects. Equipped with an adhesive backing you can place the Catchmaster 100i Insect Monitors anywhere and in any position so you can make sure that your monitors are where insects are likely to pass. Each board consists of three monitors that can be torn off using the perforated lines, or you can use the entire board as a large trap. 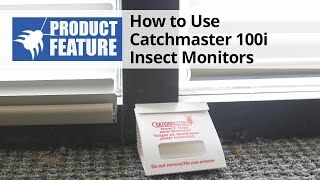 The adhesive backing on the Catchmaster 100i Insect Monitors can last an entire year under normal circumstances giving you peace of mind that your monitor will be where you put it for a long time. 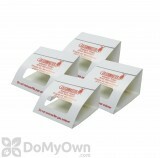 Place near baseboards, corners, along walls, or in spaces where insects are likely to travel. 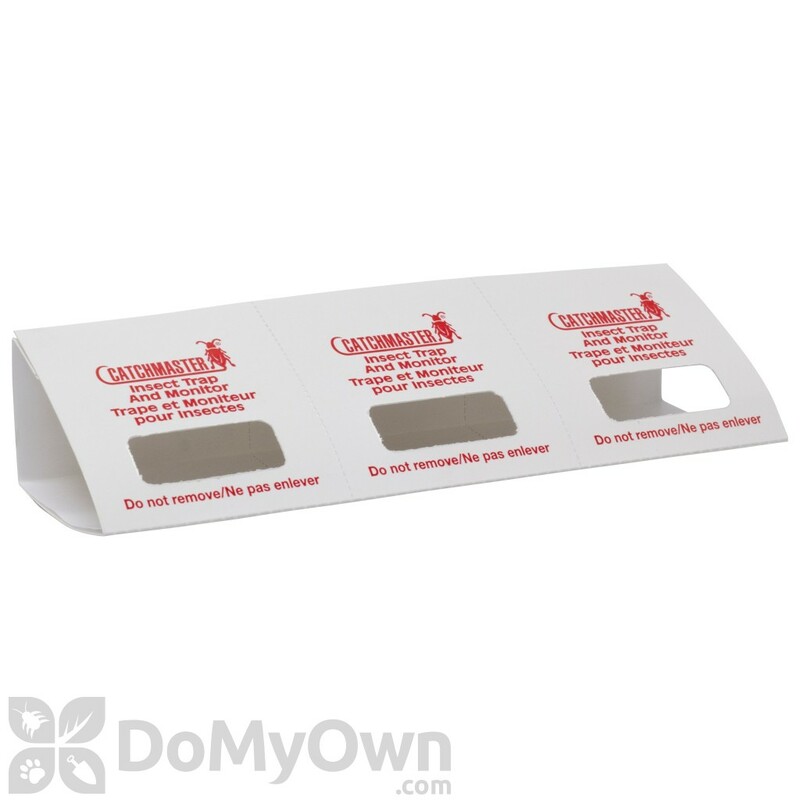 Catchmaster 100i Insect Monitors - 100 boards - 300 monitors in each pack. I had a roach problem treated by a professional service several times . I now use the monitors which work well to check if I still have a problem. These traps works great! I will definitely be reordering Traps work for small baby roaches to the big waterbug types. I used to use mice glue boards for insect monitoring. There were two problems. First, if the glue boards were on the ground for any length of time, they collected a lot dirt & fuzz. Second, the smell of that peanut butter scent drove me crazy! These Catchmaster 100i stations mount to the wall and are vanilla scented. Much better than those glue boards. So far, no insect yet. If you wanting to catch small insects these are great for that. But the bigger spiders will pull out or not make in the small opening. Exactly what I needed. The product had the right price and was delivered on time. Am I defeating the purpose of spraying an insecticide and IGR by catching them on the Catchmaster 100i Insect Monitors? Not necessarily. The Catchmaster 100i Insect Monitors can be used for several different purposes, not just catching insects. You can also use them throughout your home to monitor to pest activity, as well to see where you have certain pest populations. That is why we include some of them in our Roach Control Kits as well. Hi, i would like to place an order for your 100i insect monitoring station. Can We have a custom text printed on the stations, we would like our company logo and contact details on it. We are currently buying this with custom printing from another supplier locally. 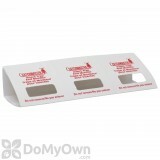 We apologize but we are not able to provide custom printing on the Catchmaster 100i Insect Monitor. How often should you replace the Catchmaster 100i Insect Monitors? We generally recommend replacing glue boards, such as Catchmaster 100i Insect Monitors, every 2-3 months or when they are full. This will depend on the insect activity around the home. Will the Catchmaster 100i Insect Monitors work on gnats? Yes, the Catchmaster 100i Insect Monitors are meant to catch a wide variety of insects including gnats. Will Catchmaster 100i Insect Monitors catch them and keep them until they die on there own? Or do you recommend using Boric Acid or Diatomaceous earth inside or around these? What bugs do these catch? Catchmaster 100i Insect Monitors (100 boards - 300 monitors) is designed to catch any insect that walks across them and monitors areas of suspected infestation. Insects will eventually die just from being stuck on the trap. You would not add anything to the glue surface as this could prevent insects from being caught. If you want to use dust, you should apply around the rooms under baseboards, behind electrical outlets, switch plates, etc. as part of an Integrated Pest Management program.